Chitrangada Singh, Bipasha Basu, Huma Qureshi and Ileana D’Cruz at the ICW 2014 grand finale. 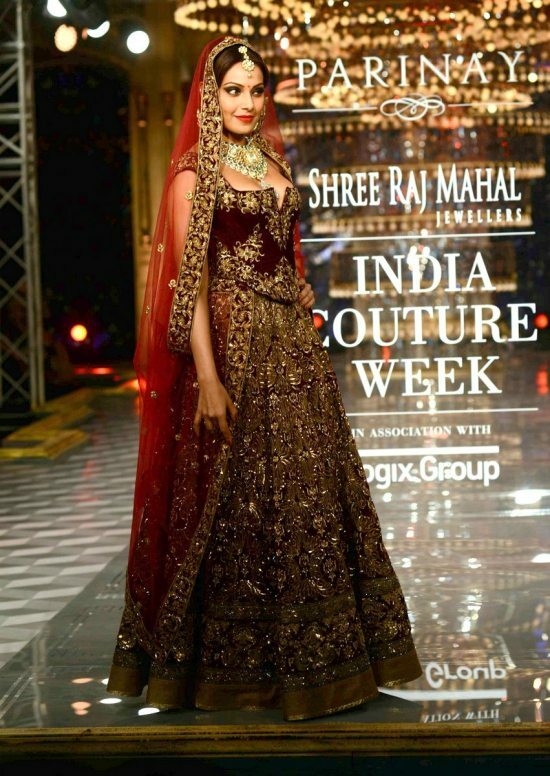 Bollywood beauties Chitrangada Singh, Bipasha Basu, Huma Qureshi and Ileana D’Cruz sashayed down the runway at the grand finale of Shree Raj Mahal Jewellers India Couture Week in New Delhi on July 20, 2014. 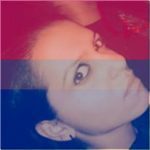 After a week long of grandiose celebrations, the event – in association with Logix group – presented by FDCI had a splendid finale. 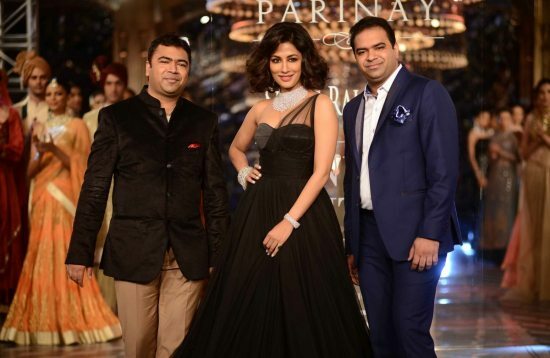 Chitrangada’s splendid act on ramp loosely drew inspiration from Hollywood’s iconic Marlyin Monroe. Dressed in a stunning Gauri and Nainika black gown paired with a multi-layered silver neck piece, the ‘Hazaaron Khwaishein Aisi’ star pulled of a classy runway look. 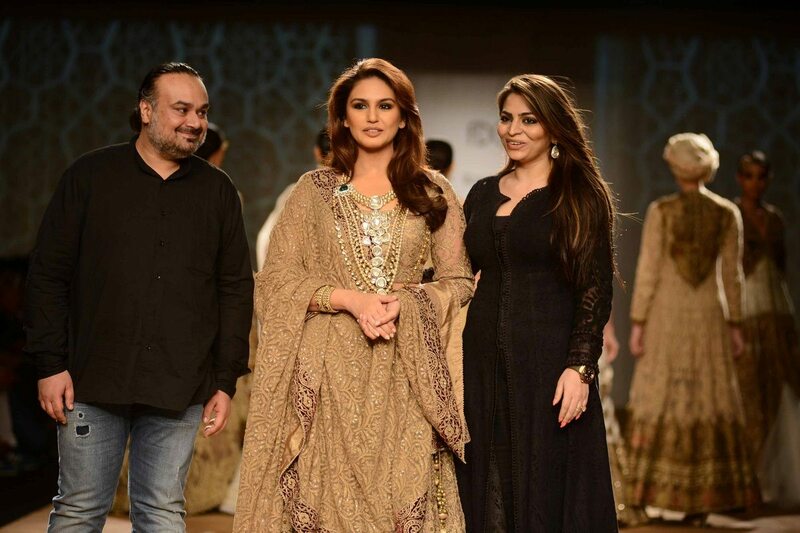 The voluptuous Huma Qureshi turned showstopper for designers Rimple and Harpreet Narula, dressed in tones of beige and dull gold, the multiple necklaces adored the curvy beauty. 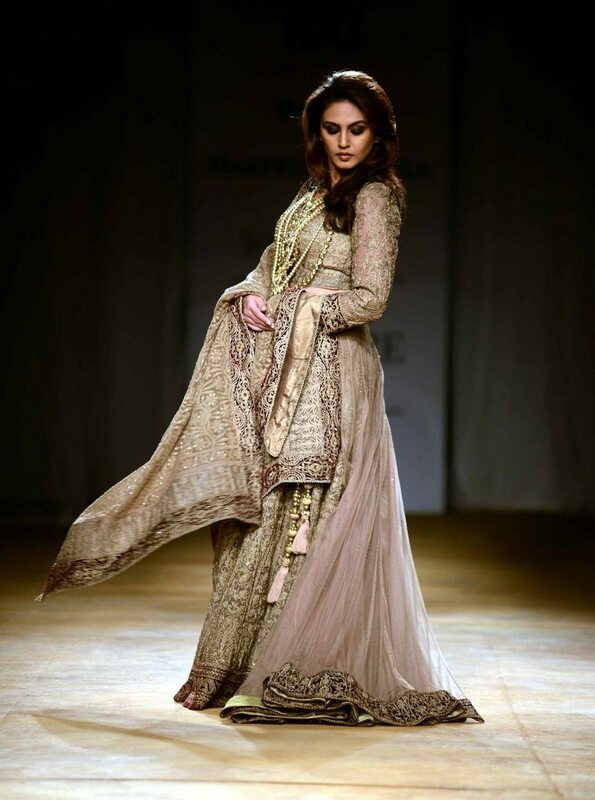 Bipasha Basu wowed onlookers by donning the quintessential Indian bridal attire, the bong beauty stunned in an elaborately embroidered red Rohit Bal lehenga. 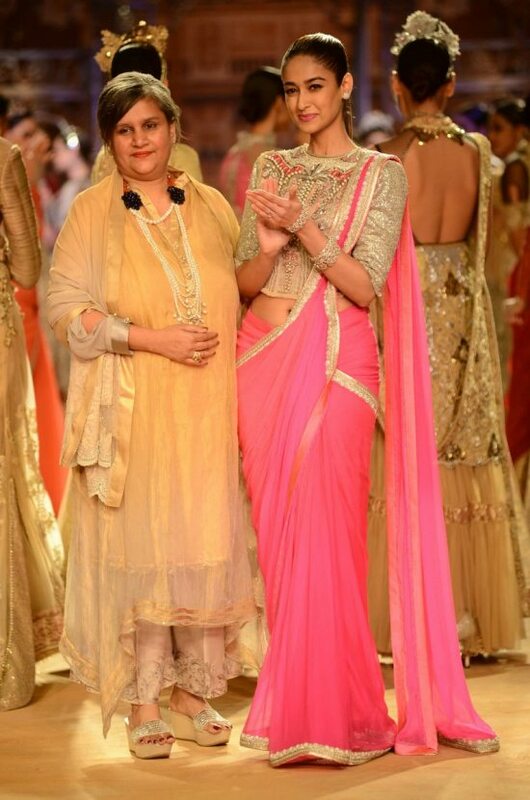 Petite lass – Ileana D’Cruz – shone in a neon pink saree paired with a silver toned blouse, her ensemble was designed by Sulakshana Monga whose designs evoked a feel of the bygone British raj.